everything you need to know about how to newport and where to stay, eat and play in tyler's hometown and the gem of the ocean state. 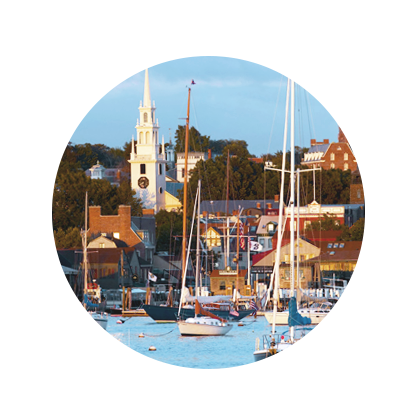 with it's historical charm and rocky coastline, newport is a popular destination in new england. as a result, hotel's book quickly and often sell out. shuttles will will offer service for downtown guests with pick-up and drop-off at the mill street inn, as well as the middletown hotel cluster. HOTELS BOOK QUICKLY IN NEWPORT. WE RECOMMEND BOOKING ASAP FOR BEST LOCATION AND SELECTION. the following hotels are clustered closely together just outside of newport in middletown. there are also many charming bed and breakfast choices in historic newport. for guests traveling in larger groups, we recommend a home rental. 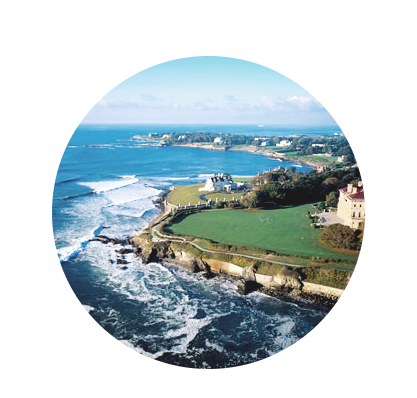 an hour and a half south of boston, newport sits on the tip of aquidneck island in beautiful new england. for those guests traveling from the west, we recommend flying into boston. from there, newport is an easy drive or bus ride away. we are beyond grateful for everyone traveling so far to celebrate with us. please let us know your final travel plans, and we will do our best to help you coordinate with other guests for possible ride shares. once in newport, a car is rarely needed. we nominate exploring this lovely sea town by foot or bicycle. newport is an hour and half drive from BOS. there are a multitude of options for car rentals at the airpot. please see below for information on bus transportation. for those traveling a shorter distance t.f. green airport can be a great option. located just outside of providence, newport's closest airport serves the mid-west and eastern seaboard daily. newport is a half an hour drive from PVD. rental cars may be obtained at the airport. RIPTA provides hour long bus service to newport seven times daily. once in new england, do as the yankees to and hop on the bus! a foreign concept to erin when she arrived to the east coast, private and public bus lines can often be the easiest and most affordable way to get around new england. whether you're headed straight to newport from the airport, or have decided to explore boston for a day or two before, peter pan bus line provides service from beantown to newport's gateway center four times daily, monday through friday. tickets are $25 per person and should be purchased prior to your arrival. once in newport, a taxi can be ordered to your accommodations. return buses to boston depart twice daily from newport's gateway center via peter pan. settled in 1639, newport has had a varied past. it's been host to numerous america's cup, the site of the "summer white house" and playground to the goliaths of gilded aged. but the one thing that ties all that history together? newporters know how to have a good time. (during the colonial period, twenty two of the thirty rhode island rum distillers were in newport.) so whether you're up for relaxing on the beach, strolling through some history, sailing on the harbor or in the mood for a good dark 'n stormy, this port town has a lot to offer. see the mansions and an unforgettable view on a picturesque 3.5 mile walk with varying terrain along newport’s eastern shore. hit first beach for seaweed and waist high waves. second will be chest high and crowded. third beach is for some peace and quiet and bailey’s is for the spoiled. with the most concentrated number colonial dwellings in the U.S., downtown newport offers historical charm with all the comforts of modern day. 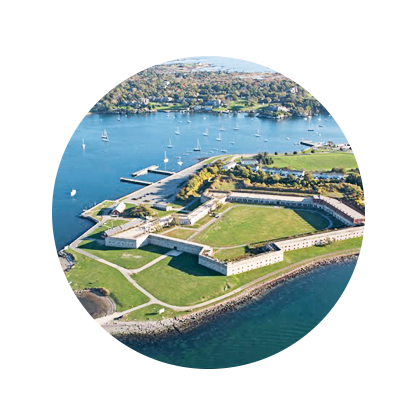 see the harbor from all side on one of the best walks is around this fort, which dates from 1799. site of the annual newport folk and jazz festivals. known as "summer cottages" to gilded age titans, these bellevue mansions are the epitome of opulence and offer a glimpse into world gone by. 'tis the season for apples! few things are more fall appropriate than heading out to to the orchard for fresh apples, cider and our fav, apple cider donuts. yum. new england does local fare well. 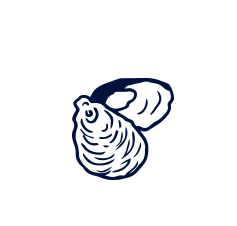 high on our list of can't miss are "stuffies" or quahogs (stuffed clams), oysters, lobster rolls, any catch of the day, del's frozen lemonade, and coffee milk (rhode island's official state drink). below are some of our favorite places. this quintessential new england dive fry shack has been flinging stuffies since 1936. a can't miss. burgers, falafels and 'dogs steal the show at this casual sister restaurant to TSK. top it off with a local brew. a stubbs' family favorite, it's easy to believe that it's hard to go wrong with classic comfort food and 160+ brews. tyler's post-surf destination of choice. order some pies (or med-inspired dishes) and wash them down with a beer. newport's best fork-to-farm dinner option. head's up, this hole-in-the-wall gem is BYOB. reservations recommended. a no-frills classic and casual brunch option. a great morning destination for hotcakes 'n eggs galore. we love boston for it's beautiful architecture, rich history, quaint culture and charming (i.e. tell-it-like-it-is) people. it's surely a town to spend a day or two in. check out some of our favorite neighborhoods and activities. if the green monster is calling your name, good news: the sox are playing at home the entire week before the wedding. every seat at the country's oldest ballpark offers a front-row view to a classic boston time of rowdy fans, fenway franks and america's favorite pastime. fun fact, tyler's nightlight in his boston apartment was the citgo sign. the oldest public park in the US dates from 1634 and is complete with swan boats and the infamous "make way for ducklings" statue. stroll through the common and the garden on your way from the shopping street of newbury towards the north end. history runs deep in boston. catch the best of it on the freedom trail, which winds you through these two neighborhoods. work up an appetite on the cobbled streets of beacon hill and then head to the north end for pasta at giacomo's or a lobster roll at neptune's. finish with a cannoli at mike's pasty. wicked. a stroll around boston's best neighborhood (wink wink - it's erin's old 'hood) offers inspired cuisine, boutique shopping and impressive brownstones. grab any meal at coppa, pick up a new england souvenir at patch NYC, hudson, or sault and a beverage at the beehive. enjoy the flowers 'n fountain and offer a wave to erin's old apartment on union park. whether you're parking your car in the harvard yard, marching through MIT or just crossed the charles to feel smarter, cambridge offers an array of sights, restaurants and bars. we love veggie galaxy, alden & harlow, russell house tavern, and highland kitchen for eats. libations best served at the druid, brick & mortar, and the field. pick a direction and go, as adventure lies around every corner in new england. quaint little towns dot the landscape from the beaches of the cape to the mountains of vermont. below are some of our favorite places in the upper right. good news: the summer crowds will be gone, while the beaches and charming towns of the cape remain. hit up provincetown (p-town) for art and nightlife, enjoy the elbow for a quieter time, or go all in and hop the ferry to the vineyard or nantucket. from the hills of acadia national park to harbors where lobsters are plucked from the sea, maine is truly vacationland. we love portland for it's small town hippie vibe with great food and better beer, and camden for it's classically quaint coastal charm. leaf pepping, craft brew and love of the outdoors are what keep vermonsters going. the lakeside of burlington is a can't miss (it's boulder's sister city!). we also love exploring the berkshires of western mass and then heading north to take in the rolling hills and small towns. PLEASE TAKE A GANDER AT OUR HELLA WICKED WEDDING GOOGLE MAP.